Recently, United Autos has launched their first 800cc hatchback in Pakistan by the name of “Bravo” which is expected to give a tough competition to the all famous 800cc hatchback by Suzuki called Suzuki Mehran. For the last three years, Suzuki Mehran car has been dominating in the 800cc range automobiles available in Pakistan. General Manager of Sales and Marketing United Autos Mr. Afzal said that their 800cc hatchback automobile is fully equipped with spectacular features and specs, which is not seen in the local assembled hatchback automobiles. On 7th September 2018 United Autos have launched their 800cc hatchback automobile “United Bravo” at a ceremony held in a local hotel. By looking at the hatchback, we have seen that it is equipped with spectacular features which include seat belt warning, touchscreen infotainment system, RPM and Speedometer, power windows, wooden interior, rear parking camera and many more. People in the country have been debating a lot about that whether this new hatchback by United Autos will compete against Mehran or not. Hatchback cars like Daihatsu Cuore and Santro were previously launched to compete with Pak Suzuki “Suzuki Mehran”. Though, both these above mentioned hatchbacks are now discontinued due to various reasons and still Suzuki Mehran is “The Boss” in the 800cc hatchback automobiles category in Pakistan. Recently, we also have heard the news regarding the discontinuation of Suzuki Mehran, but it is still available in the automotive industry of Pakistan and also the best seller in this category. Pak Suzuki’s Mehran is popular in the automotive industry due to its competitive price tag, economical maintenance cost and no real competition. People for the past many years have been waiting for such type of cars, which are available at a competitive price and are equipped with spectacular features and specs. Now, after the recent launch of United Bravo, it will be a whole new game changer. It is because this hatchback will surely be giving a tough competition to Suzuki Mehran with its innovative features and specs. Moreover, it is also heard that last month Pak Suzuki has announced that they will be halting the production of one of the Suzuki Mehran’s variant VX from November end of this year. There is also a possibility that Pak Suzuki might have sensed the danger already which was coming their way and now wants to focus more on the VXR variant of Suzuki Mehran. Suzuki Mehran & United Bravo: Competition or No Competition? Several auto critics, experts and news writers are comparing both these 800cc hatchback cars by United Autos and Pak Suzuki. The main reason found behind the comparison is their 800cc engines which are same in both these hatchback automobiles. Though, to be honest, United Bravo is a much better option as compared to the well-known Suzuki Mehran. It is because of the fact that United Bravo price is much competitive as compared to Suzuki Mehran car price in Pakistan. 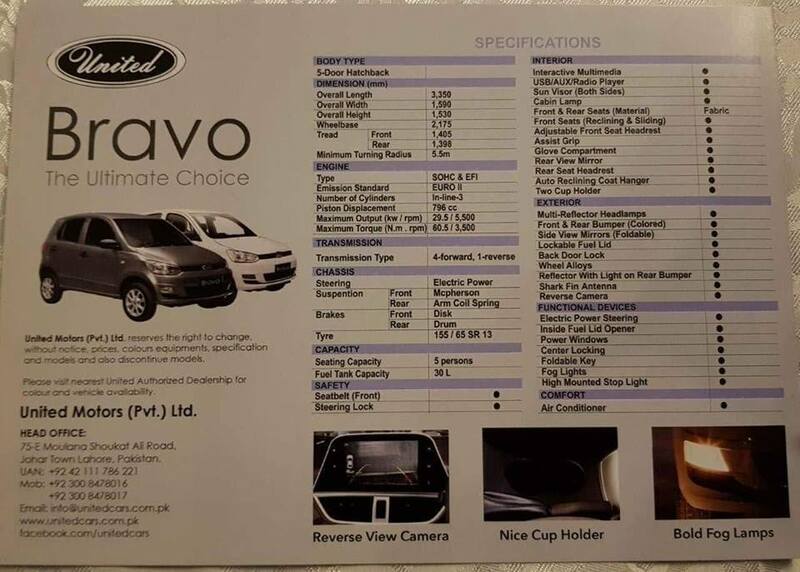 United Bravo is available at a price tag of Rs.8,50,000 in Pakistan as Mehran is available from Rs.7,70,000 to Rs.8,40,000. In the past, Suzuki Mehran has created its place in Pakistan with its extravagant affordability and cheaply available spare parts. Now we have to wait and see that whether the parts and maintenance of United Bravo is available at a reasonable price or not. Suzuki Mehran belongs to the 2nd Generation which was introduced by Pak Suzuki in the year 2012. 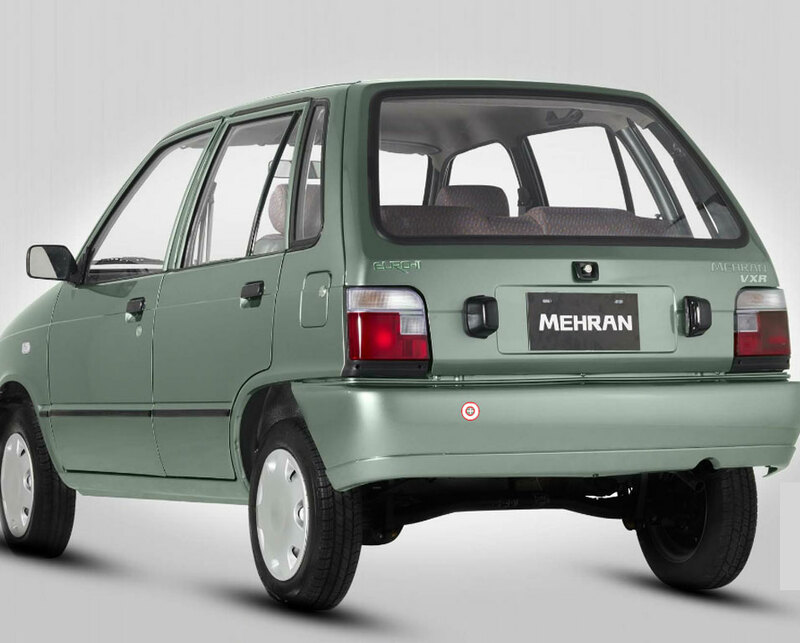 This 2nd Generation Mehran car features a series of minor upgrades and engine which is upgraded to EURO II. The remaining features are the same as was previously seen in the 1st Generation Mehran. Though, all the new variants are now coming with Immobilizer. It comes in four variants which are VX, VX CNG, VXR and VXR CNG. 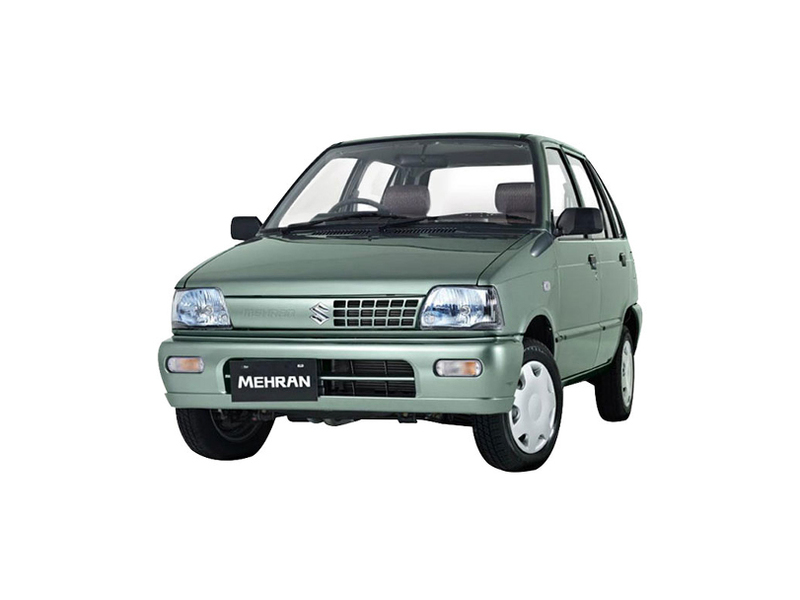 If you are looking for Suzuki Mehran for sale, you can visit different online websites or nearby local authorized dealers. Suzuki Mehran features a box like exterior design which is quite similar to other popular brand hatchback automobiles available in the country. The front end of this hatchback you see trapezium shaped headlights, black bumpers and a grille with multiple rectangular shaped opening on one side and other side sealed. At the rear you see angular squared shaped taillights, a black rear bumper and a standard hatchback. The higher end variants of Suzuki Mehran which include VXR and VXR CNG, both of them comes with colored bumpers. The overall exterior of this 800cc hatchback automobile by Pak Suzuki features a standard and minimalistic design language. 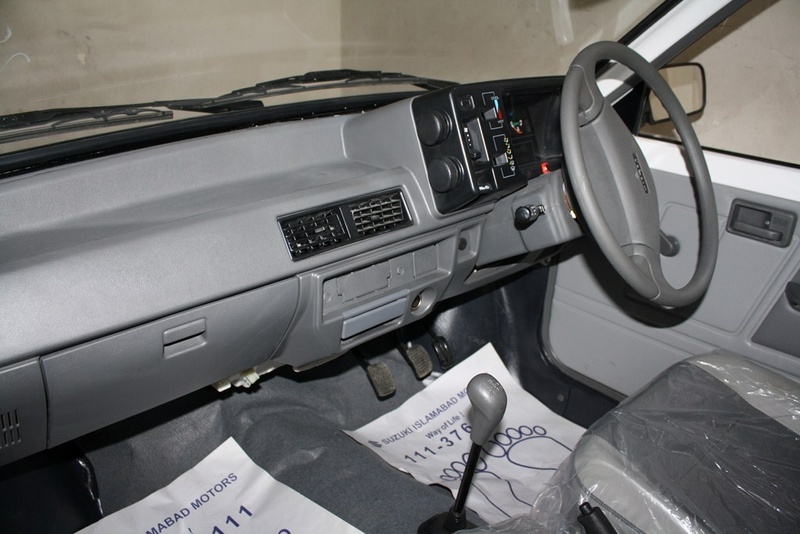 The interior of Suzuki Mehran comprises of grey tone plastic trim pieces. The interior of this hatchback is very minimalistic as compared to other brand hatchback automobiles in the market. This is because many aspects of the car are left exposed and even the seat adjustments and windows are operated manually. The basic interior features of this hatchback include manually operated seat and windows adjustment, air conditioner only in VXR variant and high quality fabric seats. Moreover, the interior also lacks space both at front and rear. There is also no infotainment system. Suzuki Mehran is powered with 0.8 liter inline 3 OHC 6 valve engine which is mated to 4-speed manual transmission. This economical hatchback by Pak Suzuki is available in four appealing colors which include Silky Silver, Solid White, Pearl Red and Graphite Grey. United Bravo is recently launched by United Autos. This hatchback automobile by United Autos features a similar design language like any other popular brand hatchback automobile available in the country. It is powered with 796cc EURO II inline 3 SOHC& EFI engine. 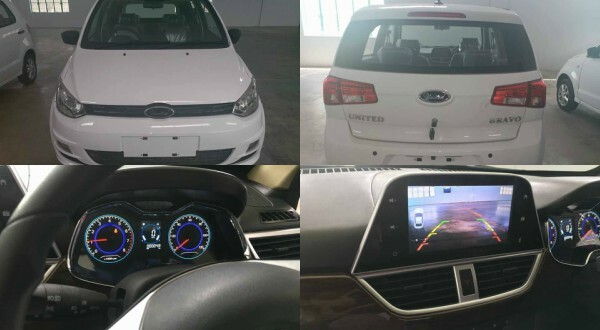 This hatchback by United Autos is a rebadged version of DAHE DH350 which was launched in China. 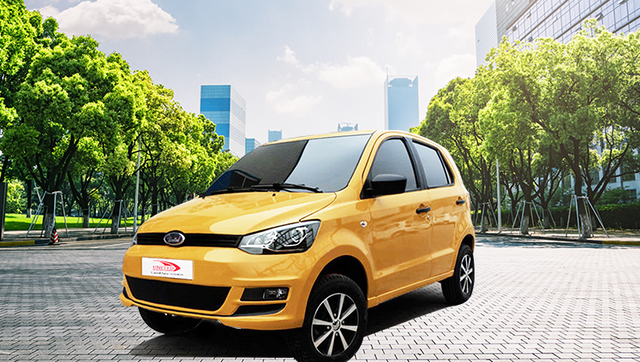 This is also one of the first China car in Pakistan which is being launched under the umbrella of United Autos at a competitive price. The standard interior features of this hatchback by United Autos include air conditioner, rear view camera, touchscreen infotainment system, electric power steering, keyless entry, alloy rims and fog lamps. All these interior features are expected to make this hatchback one of the most anticipated 800cc hatchback in Pakistan.